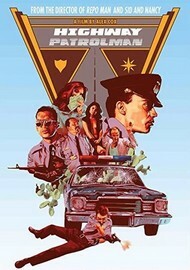 Covertext From "Repo Man" director Alex Cox comes this stylish story that focuses on naive Mexican highway patrol officer Pedro Rojas (Roberto Sosa). Pedro soon finds his idealism is being challenged when he realizes he can't escape from the corruption that surrounds him, eventually giving in to it himself. Bruno Bichir, Vanessa Bauche, Zaide Silvia Gutiérrez also star in this humor-laced hybrid of road movie and western.